In the umbra, the tunnel, when the mind went wombtomb, then it was real thought and real living, living thought. Lingering like leaves in autumn. Autumn leaves are important in the Japanese year. The beauty of the changing colours of the leaves represents the coming of winter. Kevin Short writes a cool regular nature column in the Daily Yomiuri newspaper. This week he wrote an interesting explanation of the science of autumn leaves. In my column Eyes in the Martial Arts I talked about a gaze like autumn leaves. It was used in traditional budo as advice on where to look. Another phrase from the Japanese sword is to look at the far mountains. Both of these mean roughly that you should look at everything at once. You have to absorb the whole scene without becoming fixed on any single point. The opposite would perhaps be tunnel vision. Looking at something but not being aware of the real truth. There is a lot of that in the martial arts. I was in the mountains a few days ago. The red and yellow and brown autumn leaves were beautiful. 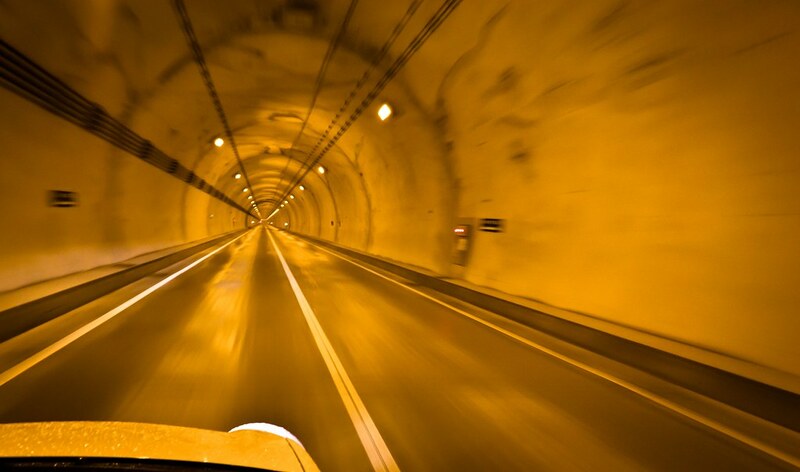 We drove through tunnels punched through the mountains. There are many mountains in Japan. Japan is basically four large islands plus Okinawa. Most of the population and most of the cities are on the main island called Honshu. It is a long (1300 kilometres or 810 miles) and narrow (210 kilometres or 140 miles) volcanic landmass with a central spine of mountains. On 2 December 2012 in Sasago Tunnel in Yamanashi in central Japan some concrete ceiling panels collapsed and fell on to the road. Each panel weighed more than a ton. Several people died. Safety inspections are carried out every five years. The last inspection was carried out a couple of months before the accident. So exactly what did they inspect?